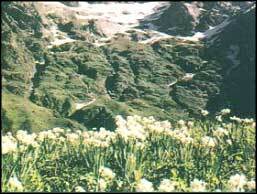 Hemkund Sahib, or Lake of Ice, is a revered Sikh gurdwara. For eight months of the year, the lake is frozen. It melts in the monsoons and meadows of wildflowers colour its banks. Encircled by seven snow-clad peaks and glaciers, it reflects its surroundings enchantingly on its crystal-clear waters. 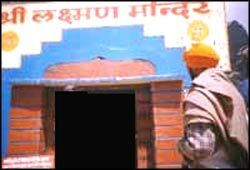 Sikhs apart, it is an important pilgrimage site for people of other faiths. Devotees in thousands climb the steep stone path to the lake and bathe in its freezing waters. It is believed that Guru Gobind Singh, the tenth Guru of the Sikh faith meditated on the bank of this lake. Many pilgrims are overcome with altitude sickness but most, before the chill of the air at an altitude of 4,329 m becomes too much, bathe in the lake. There is a separate enclosure for women. Most enter the frigid water slowly, utter a prayer, and then take a few dips before scampering back to the shore. Local photographers are available here, for those without cameras. You can collect the holy water in a bottle and place it inside the gurdwara, just beside the Guru Granth Sahib. The pilgrimage generally begins at Gobindghat, situated between Joshimath and Badrinath. From the bridge across the Alakananda (at Gobindghat), it is 14 km to the next settlement, Ghangharia, or Gobind Dham as the Sikhs call it. The trek runs all along the Bhyundyar Ganga, ascending and descending at regular intervals. One passes through a varied forest of many types of trees and several meadows covered with dandelions. The forest floor is thick with ferns and huge rocks covered with many types of moss. The walk, though difficult, is nevertheless refreshing; one is awestruck with rapturous exclamations over the pristine beauty of the mountains and springtime flowers. The Gurdwara Hemkund Saheb is situated besides the lake, amidst a magnificent panorama. 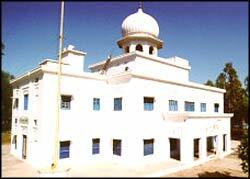 The Gurdwara is devoid of any ostentatious embellishments, befitting the austere surroundings. 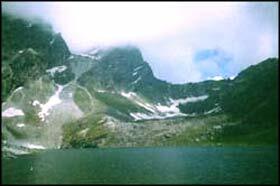 The Hemkund Lake (also called the Lokpal Lake) is about 2 km in circumference. Its clear water reflects the Saptashringa Peaks (5,500 m) that surround it. On the banks of the Hemkund lake stands the little-known Lakshman Temple (also known as Lokpal Temple). It is said that Lakshman had meditated at this place. 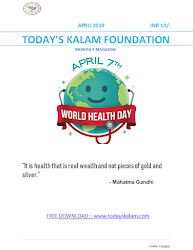 The mythical Sanjeevani Buti (an ambrosia yielding plant) that cured Lakshman after he was wounded during a fight with Meghnad is said to have been found in the vicinity. Along the way from Gobind Dham to Hemkund Sahib is a path, which turns towards the Valley Of Flowers flanked on either side by majestic snowcapped peaks. The valley is carpeted with more than 300 species of wild flowers like the Himalayan Blue Poppy, Snake Lilly, white and yellow Anemones, Daisies, Calendula and Dianthus. A wide variety of butterflies, snow leopard, brown and black Himalayan bear, tahr, musk deer, bharals and serow are the other attractions of the national park. Within the main valley are smaller valleys carved out by streams of melting glaciers. On the banks of these valleys, you can encounter exciting pattern of flowers. One such valley exists along the Donagair Garh, the last of many streams. On its banks are some of the most magnificent plants. Another valley Nag Tal is literally the place of the venomous serpent - the Nag. It is believed to be infested with poisonous flowers. These flowers cause harm when plucked, crushed or smelt. The valley was introduced to the world by Frank S. Smith - mountaineer, explorer and botanist who camped here in 1937. He authored a book called The Valley of Flowers, which unveiled the beauty and floral splendours of the valley to the world. In 1939, Margarate Legge, a botanist arrived at the valley for further studies. She slipped off and was lost in the garden. Her sister later erected a memorial on the spot where she was buried by the locals. The memorial is still there.